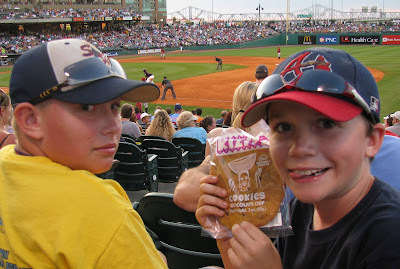 Kevin's Cub Scout Pack attended Scout Night at the Louisville Bats game several weeks ago. It's a pretty big deal with Scouts from all over Kentucky and Southern Indiana attending. The Scouts and their families get to walk around the ballfield before the game. 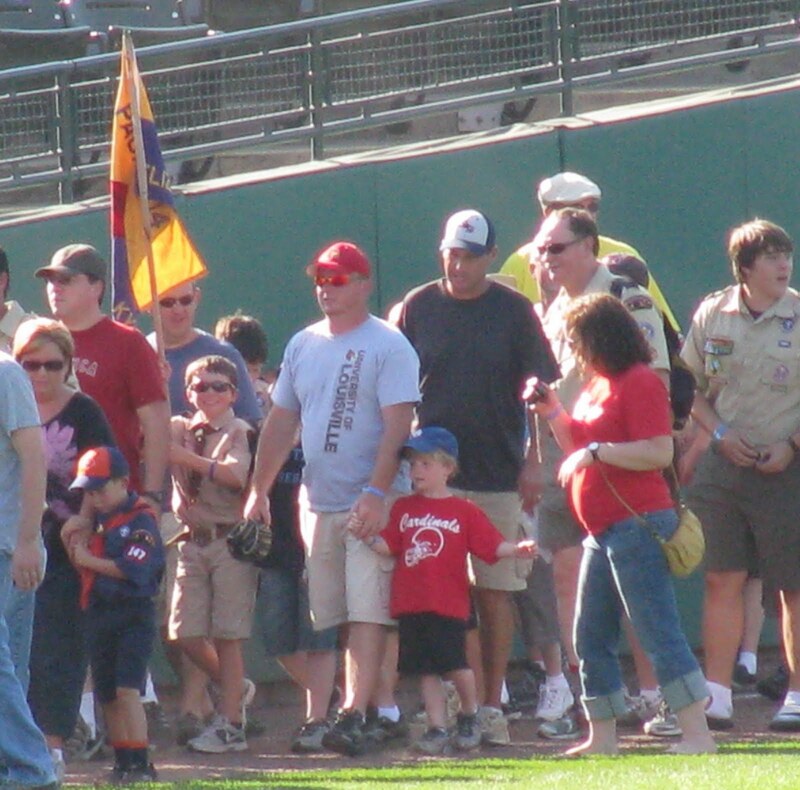 Kevin got to lead his Pack around the field as he carried their flag. !!! He was so excited and I was so proud of him. He did great! We spent a lot of the game snacking. We had sno-cones, roasted nuts, icecream, and a special cookie purchased from the bowl that the "cookie lady" carried around on her head. (I should have gotten a pic of her!) We never get tired of baseball! Looks like lots of fun. 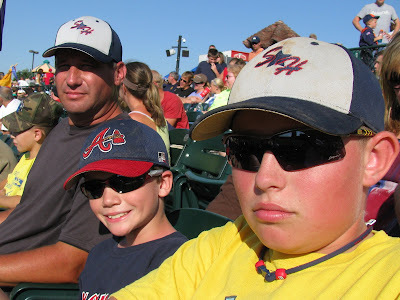 The boys go through a stage where they DON'T smile at the camera.